وفى "سنن ابن ماجه" عن أُمِّ سعد رضى الله عنها عن النبىِّ صلى الله عليه وسلم: "نِعْمَ الإدَامُ الخَلُّ، اللَّهُمَّ بَارِكْ فى الخَلِّ، فإنه كان إدامَ الأنبياء قبلى، ولَمْ يَفْتَقِر بيتٌ فيه الخَلُّ ". Poverty indicated above can be the poverty in actual, PLUS the poverty caused by diseases. Reported by Talha Bin Naf'e Abu Sufyan who narrates it from Jaber Bin Abdullah Radiallaho Anh that "Prophet Muhammad Sallallaho Alaihe Wasallam took me to his house one day & Rasoolullah was offered a piece of bread, he asked if a curry / condiment was also available, he was answered that there was nothing except some vinegar". Prophet Muhammad Sallallaho Alaihe Wasallam said, "Khall (vinegar) is the best curry / condiment", Jaber Bin Abdullah Radi Allaho Anh said that as I heard this from Prophet Muhammad Sallallaho Alaihe Wasallam, I LOVE Khall from that time, & Talha Radi Allaho Anh said that I LOVE Khall from the time I heard it from Jaber. So I request you that today; as you are hearing this; & from now on, you will also LOVE Khall Insha'Allah. Vinegar (Khall) is a substance that is praised by Prophet Muhammad Sallallaho Alaihe Wasallam, but to brew the vinegar with Halal Technology is not known today to many Muslims around the world. With our exclusive experience of 5 years that started with many mistakes & spoilage, Allah Made it easy to understand the best brewing technique for Halal Vinegar & we begin with some Hadith & the Halal status of vinegar as explained by some scholars. Tariq Bin Suwaid inquired Prophet Mohammad Sallallaho Alaihe Wasallam about drinking of wine & Prophet Mohammad Sallallaho Alaihe Wasallam forbade it, then he asked again & Prophet Mohammad Sallallaho Alaihe Wasallam forbade it, then he said, O Prophet of Allah, it is a MEDICINE, Prophet Mohammad Sallallaho Alaihe Wasallam said, " NO! IT IS AN AILMENT (Disease)". Same subject is quoted in other Ahadith of Sahih Muslim, Tirmidhi, Ibn-e-Majah, etc. Yahya Bin Abbaad narrates that Anas Bin Malik Radi Allaho Anh asked Prophet Muhammad Sallallah-o-Alaih-e-Wasallam if wine could be turned into Khall (vinegar); Prophet Muhammad Sallallah-o-Alaih-e-Wasallam said "NO". 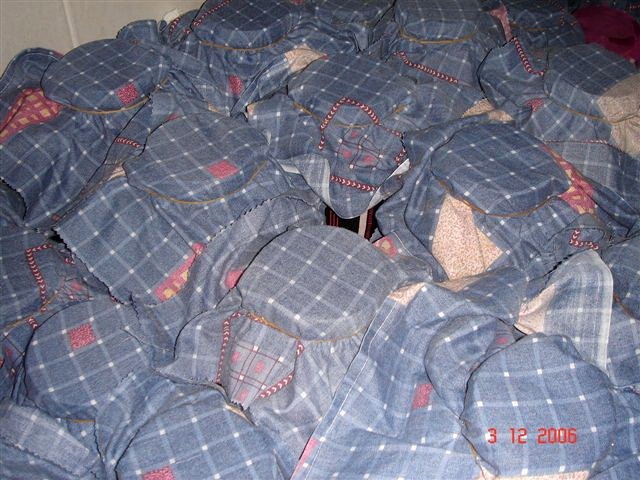 As per another Hadith, Prophet Muhammad Sallallah-o-Alaih-e-Wasallam ordered that all stocks of wine should be wasted. 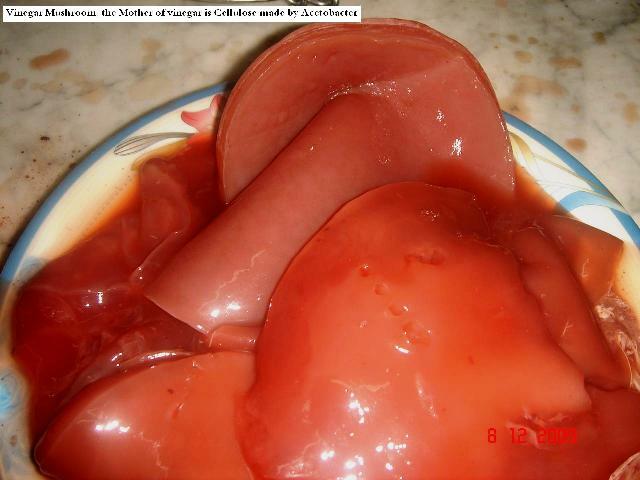 If the vinegar was made by adopting certain processes such as by mixing salt with it or aerating wine and exposing it to Acetobacter bacteria, (which alters the wine completely and changes it to vinegar) such vinegar is also permissible (Halal) according to the Hanafi doctors of law. However, according to some other jurists, this conversion into vinegar is unlawful (Haraam) (Bahar 8:219). When wine turns to vinegar by itself, without any deliberate treatment needed for it to be changed, it is permissible to eat, drink and handle it, according to the consensus of the scholars. But if the wine has become vinegar because of deliberate treatment, by adding vinegar, onions, salt etc., or by any other process, in this case the scholars (may Allaah have mercy on them) differ as to whether it is permissible. 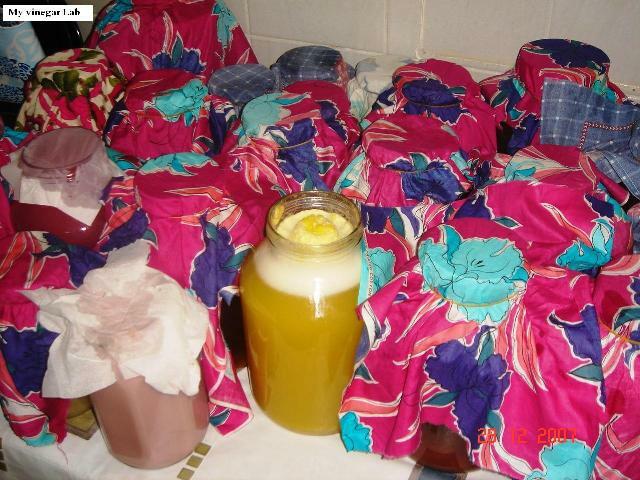 The Shafi'is, Hanbalis and some of the Maalikis say that it is not permissible to deliberately change wine to vinegar because then it is not pure. The evidence (daleel) for this is the Hadeeth of Anas ibn Maalik (may Allaah be pleased with him) who said: “The Messenger of Allah (peace and blessings of Allaah be upon him) was asked whether wine could be changed to be used as vinegar. He said, ‘No. '” (Reported by Muslim). Abu Talhah (may Allaah be pleased with him) reported that Prophet Muhammad (peace and blessings of Allaah be upon him) was asked about some orphans who had inherited some wine. He said, “Pour it away.” He was asked, “Could they not make it into vinegar?” He said, “No.” (Reported by Muslim). There is a difference of opinion among Hanafi and Shafi'ee fiqh schools regarding vinegar. There is also a difference of opinion among Islamic Scholars regarding wine vinegar, since there is a possibility of wine being not 100% converted to acetic acid and water. There is left over wine in the wine vinegar, we consider wine vinegar not a Halal vinegar. We recommend distilled white vinegar because it is made from dilute alcohol. Please consult your sheik or Imam on this topic. How the brewing of Halal Vinegar begins ? Regarding HALAL ruling for different types of vinegars, there is a conflict among various schools of thoughts. It is because they never knew that vinegar can be produced by not following the primary anaerobic fermentation. Aerobic fermentation from the first day will never validate the FERMENT to be consumed as WINE, as it will be dangerous having Acetaldehydes. Both wine & vinegar are brothers from the same mother, which is sugar, wine hates to breathe & loves anaerobic environment, while vinegar can't exist without breathing, it needs oxidation. 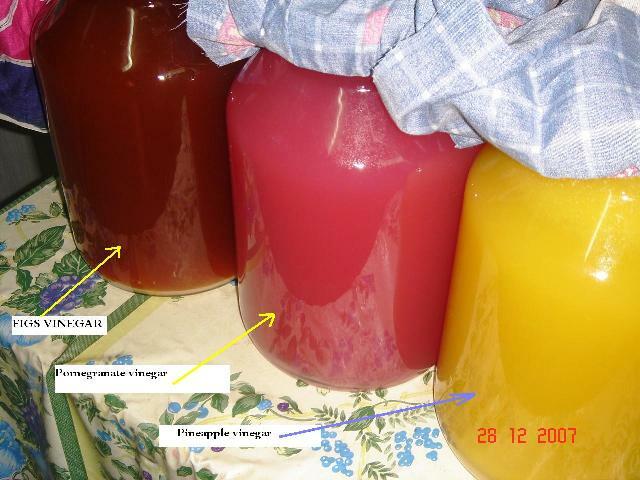 Biological vinegar industry makes fruit wine primarily & then oxidize it by passing air bubbles for obtaining vinegar. When you will see CO2 bubbles during primary fermentation, ethyl alcohol is produced immediately, but to mature it anaerobically is the fundamental of wine-making, we differ in Halal brewing technology of vinegar at this stage, that we keep the alcohol being oxidized from the first day, in this manner, pre-oxidized alcohol changes immediately to other compounds, which can be Acetaldehydes OR Ethyl Acetate that further oxidizes to Acetic Acid. Pre-oxidized Ethyl Alcohol is dangerous & harmful for drinking, so we have differentiated Halal Vinegar Technology with the traditional vinegar-making. 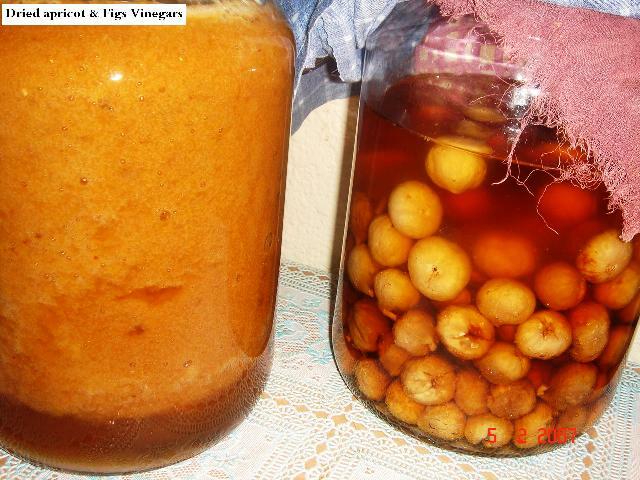 Other issue for Halal vinegar is to avoid BREWER'S YEAST, because it is obtained while making wine, many Ulama'a have given Fatwa that it is Haram, so to use wild yeasts is the only option for you, some people may use baker's yeast, but I have seen that it imparts a bad taste to vinegar. By oxidizing the brew aerobically for at least 70 to 90 days (depending upon hot climate), it is confirmed that all by-products (either alcohol, acetaldehyde or acetates) of fermentation will be converted to Acetic Acid. We begin with the example of apples. Take out the juice of apples, add to a glass jar whose mouth should be smaller than the base with a ratio of 1 : 2. Such a design is the best for fermentation, as it slow down the evaporation loss. Because apples are low in sugar (mostly 10 ~ 12%) & you need at least 15 % sugar for a strong vinegar, add 200 grams of white sugar to a 4 liter jar. 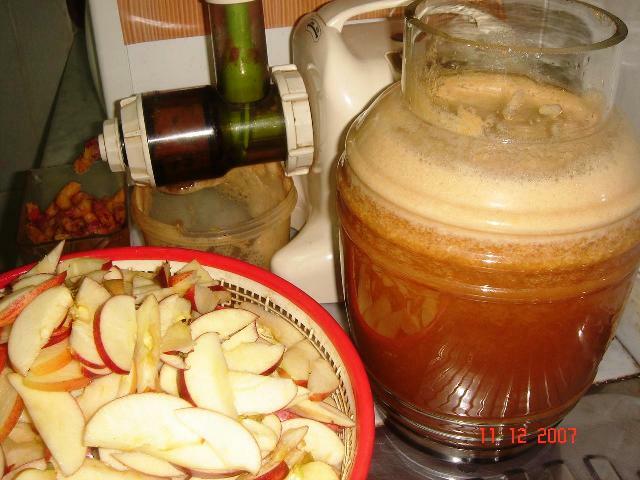 Sugar should be added immediately after juicing the apples; before the primary fermentation starts. Cover the jar with a cloth so that light can't enter inside, & cover the mouth of the jar with a cotton cloth using a rubber band. (as shown in the picture below). Covering the jar with a cloth is your Halal vinegar technology, because you are exposing the brew to breathe in the air from the first day. 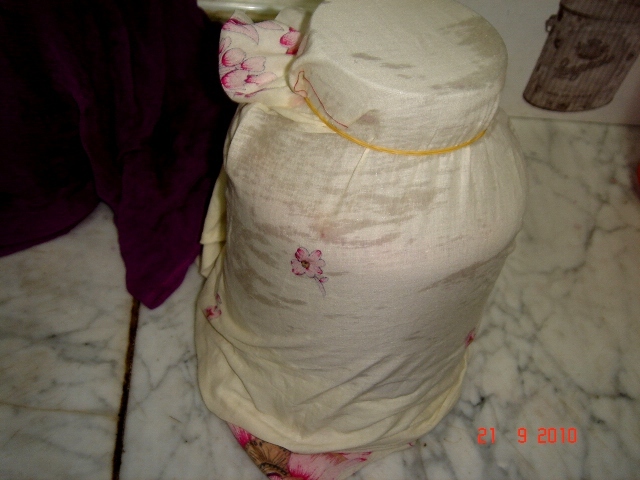 Jar should be filled till the top mark, it is because you are fermenting aerobically, we have seen that if the jar is not totally filled, your brew may get spoiled, first 30 days are delicate, after which you will filtrate & the liquid level will reduce, but then it will not be a problem Insha'Allah. 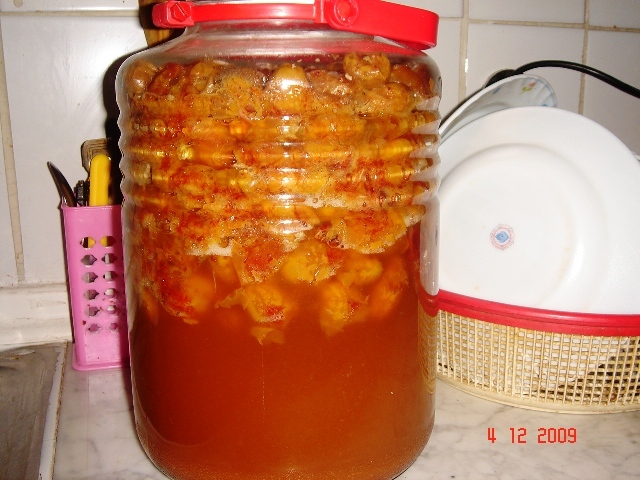 Don't put the jar under sunlight, or under a fan, we usually put them at the corner of kitchen, far away from the stove. A good temperature for fermentation is 28-32 Celsius. Wild yeast from the air will break down the sugar & primary fermentation will start after 3-5 days when you will see CO2 bubbles rising up in the jar, bubbles will ooze for the following 10-15 days. You have to wait for 30 days from the date of starting the brew, & then you have to filter the fermented juice to take out dead yeasts & pulp. 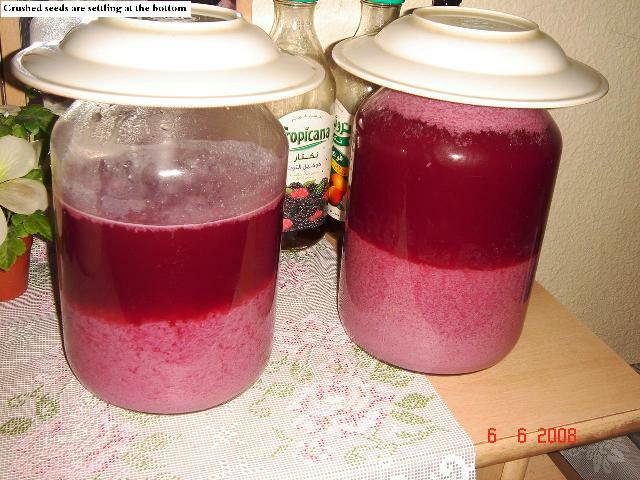 Wash the empty jar with ordinary water & pour filtered juice again, cover the jar & its mouth with a cloth, depending upon your temperature & sugar percentage, you will need at least 60 days more for a complete double biological fermentation. Total time is 90 days from the first day. 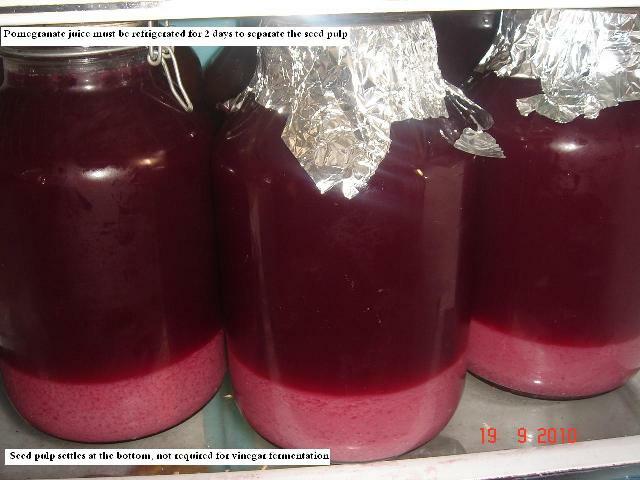 And if the climate is hot, vinegar will be ready after 60 ~ 70 days. You will be able to notice the typical smell of vinegar. Filter finally before bottling & keep refrigerated. 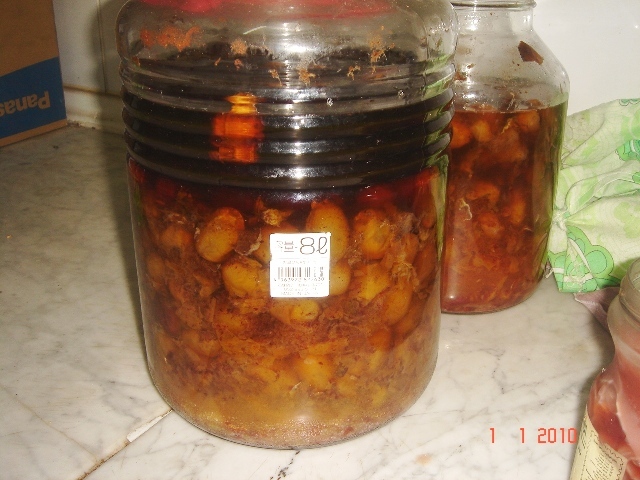 Un-pasteurized vinegar stays crispier inside the refrigerator, if kept outside, it develops the mushroom type jelly which of cellulose made by bacteria; called "mother of vinegar". With aerobic fermentation, there is some evaporation loss & after filtering out the dead pulp, your recovery for pure / filtered Khall will be 45-50 %, i.e. if you started with 4 liters of juice, you will obtain 1.8 - 2 liters of Khall. If you need to be more perfect to know if your Khall is ready, please check the acidity by TITRATION (should be 5-7 %) or check its pH with a pH-meter, it should be in between 2.65~2.80. Dates vinegar is a miracle of my Allah's creations, found the least in our markets, it is far better than Apple Cider vinegar. But because dates are dry, you will have to take out their sugar by soaking them in water & below is the best procedure we have adopted. Purchase 2 glass jars of 4 liters capacity, with a design that mouth of the jar is almost half in diameter to that of the base. We also use 8 liter jars, but 4L are preferable. 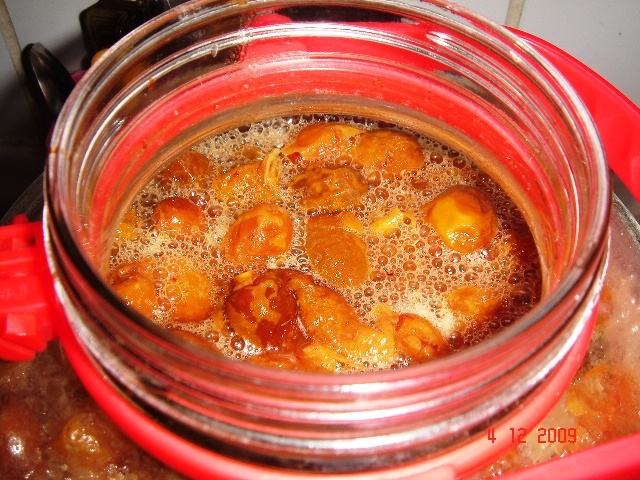 Add 1.25 kg of dates & 2.25 liters of water to every jar. Dates should be completely dry (never use the fresh / moist dates for making vinegar). Because date stones are a cure for heart, you never need to take them out, during the primary fermentation; their oil & nutrients will come out. 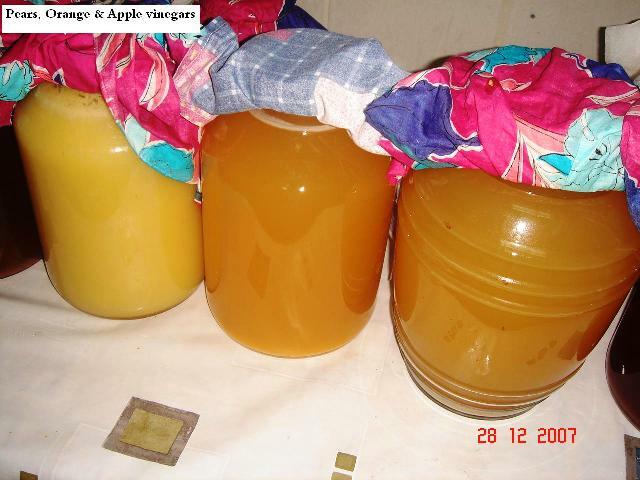 Start with the same Aerobic fermentation from the first day as explained for Apple Vinegar. 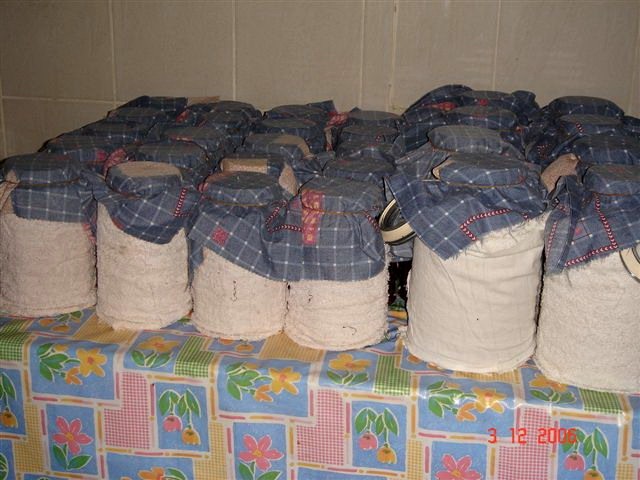 Fermentation loves darkness, so cover your jar with a cloth & tie the knots or use safety pins. Place a small cloth on the jar's mouth & tighten with a rubber band, so as to prevent any dust or insects from falling inside. Every 3rd day, open the jars & stir the brew properly, you need to avoid any yeast accumulation to be cultured at the top. (You need stirring for the first 3 weeks only.) With CO2 bubbles, the dates pulp will be pushed upwards. When 30 days have completed, primary fermentation would stop & dates pulp will settle down (as seen in the picture), filtrate and separate the pulp. 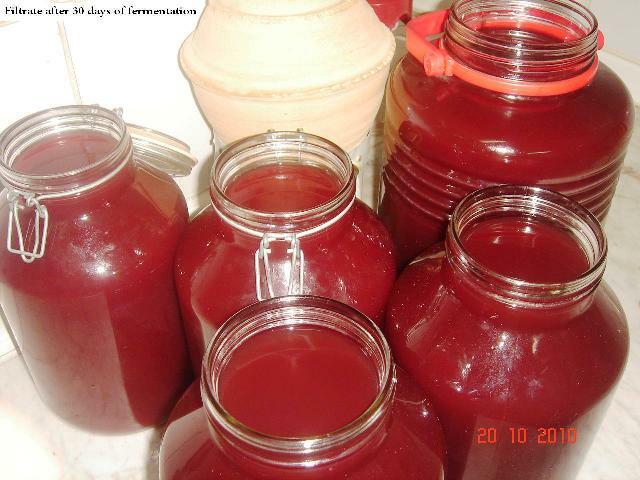 You will have around 4 liters of fermented dates juice (after evaporation / filtration loss), pour in a single jar till top & ferment for 45 - 60 days more. Pomegranate vinegar is a medicine for poor digestion, clogged arteries, diabetes, cholesterol, Hypertension, & even for cancer & HIV patients. It is the best vinegar ever brewed on earth. Brewing of pomegranate vinegar is the most difficult, as it is so sensitive & spoils suddenly even with all precautionary measures. That is why we say that "it is born after thousands of years". When pomegranates are juiced, some part of crushed seeds also enter the juice, these seeds interfere with fermentation & spoil the brew. Peel the Poms, juice them, & put the juice jars in refrigerator for 2 days so that all the crushed seeds settle at the bottom, filtrate the pure juice carefully without any movement to the jar. Those seeds can be eaten & they will prove to be a plumber for your digestive tract. For other vinegars like apple, pineapple, pears, sugarcane, coconut, etc. 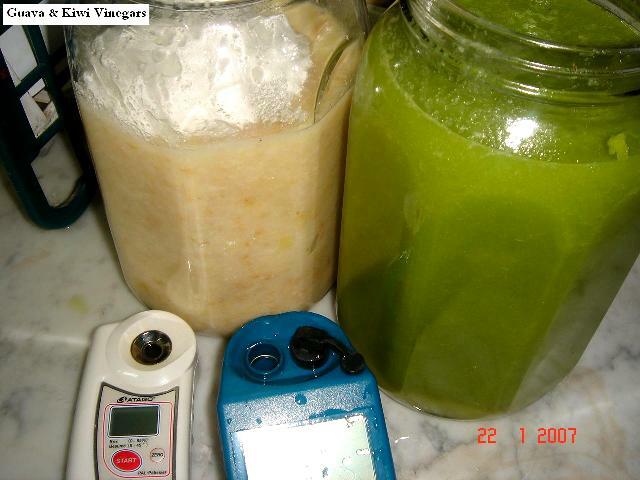 you will skip the seed separation process & start the fermentation immediately after juicing. Now cover the jar with a cloth, as vinegar loves darkness, and the next step is the most important when we distinguish Halal Vinegar technology, put a thin cloth over the mouth of jar & tie with a rubber band, so that the air goes inside from the first day & any alcohol available is immediately oxidized. We never use the fermentation locks. Put the jars in a dark place, away from sunlight & you should have enough air in that room / kitchen. Keep the windows open. 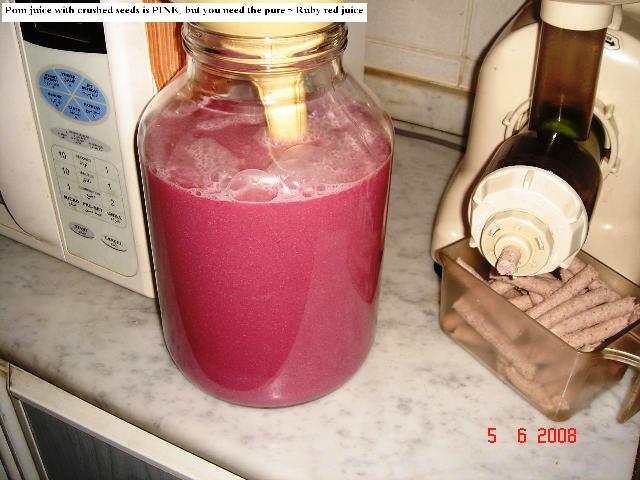 Pure juice is allowed to ferment aerobically (by wild yeasts) for 30 days, after which it is filtered & allowed to ferment again (aerobically) for 45 to 60 days. 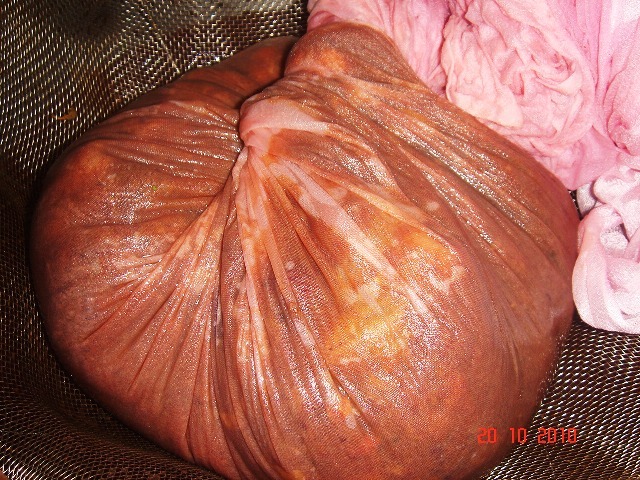 When 75 to 90 days have completed (vinegar gets ready earlier in warm seasons), filtrate the vinegar finally & you will observe some mushrooms, they are called the mother of vinegar, the cellulose made by Acetobacter. Those mushrooms are the residence colonies of bacteria. After filtration, keep the vinegar bottled & always put them in refrigerator, the raw vinegar will have the bacteria & inside the refrigerator, the vinegar will become more sharper & crispier during the next days. Peeling & taking out the seeds is tiresome when you need POMEGRANATE vinegar for the entire family (during the whole year), i.e. 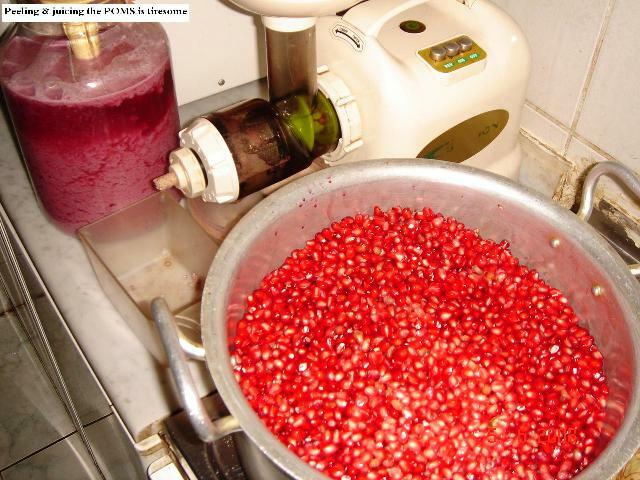 around 30 liters, for which you need at least 120 kg of pomegranates. They will yield 50 liters of pure juice which will give 30-35 liters of ruby red vinegar after evaporation & filtration losses. Which Vinegars are the best ? We have tried vinegars from almost all the fruits, but we found that those from Dates, Figs, Grapes & Pomegranate are the best in this world, "Pomegranate Vinegar" being the KING of all. And always avoid the synthetic vinegars, they are nothing but a 5 % solution of industrial Acetic Acid in distilled water.